Hi Everyone! Today I have a fun belated birthday card for you featuring Jane's Doodles Dogs set. I couldn't resist using this adorable set again for my first feature on the Jane's Doodles blog. When I showed my hubby the masking I did with the dog house and pup for the blog hop he suggested I create a belated birthday card with that concept being the doggie was in the doghouse for forgetting the birthday. I thought that was so clever so I had to run with it! Rather than masking, today I did a little paper piecing with the doghouse. 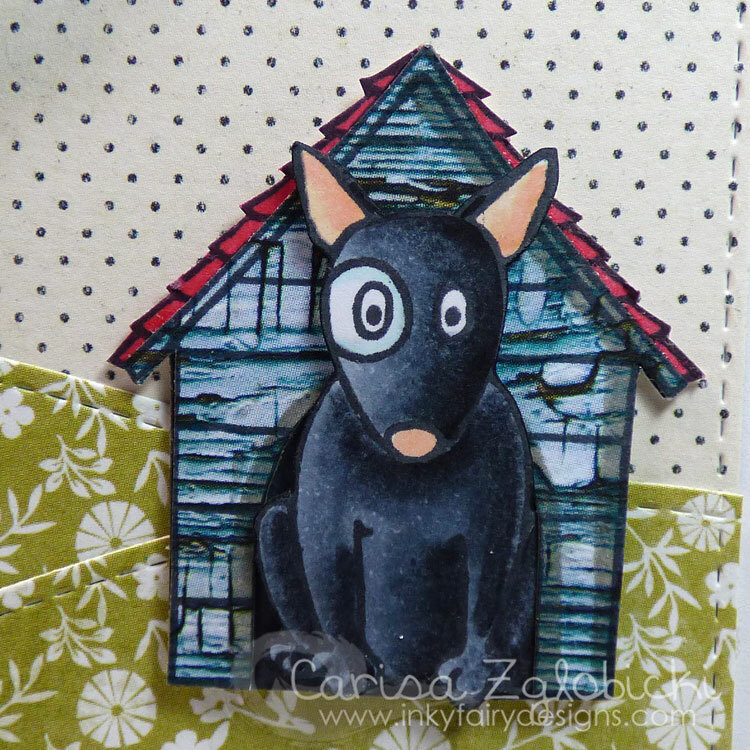 I loved this weathered woodgrain paper and thought it would look cute on the front of the doghouse. I then did some simple coloring of this doggie and kind of tucked him inside the doghouse and used foam adhesive to pop him up a bit. Some fun use of dies and simple embellishing completed my card. Thanks so much for stopping by today! If you liked my card, please click on the button below to subscribe to my blog so you don't miss a post!